Four Welsh Labour MPs are expected to vote against the Article 50 bill to trigger Brexit this week, defying orders from the party leadership. Jo Stevens, Stephen Doughty, Owen Smith and Ann Clwyd are all expected to vote against a bill that would start the process of leaving the European Union. Mr Smith said: "History will show we are in the wrong place on this vote." 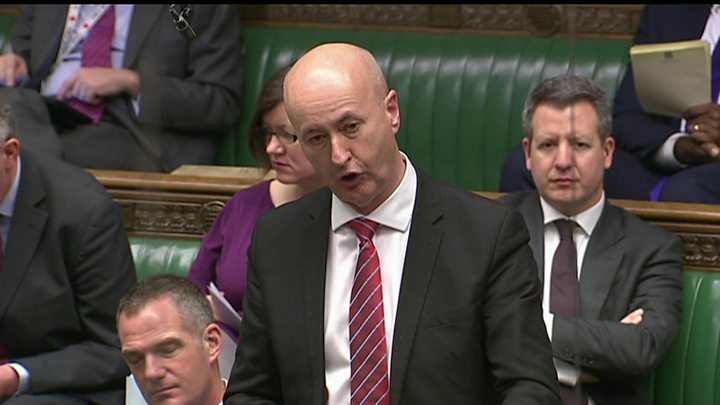 But Ynys Mon MP Albert Owen said the EU referendum result had to be respected, as party leader Jeremy Corbyn has said. Most other Welsh Labour MPs are expected to vote for the bill than against, however, and it is not thought any attempt to throw out the legislation will succeed. The UK government has introduced a bill to the House of Commons to launch the formal Article 50 process of leaving the EU after the Supreme Court ruled that ministers could not trigger Brexit without MPs voting on it. The legislation has sparked tensions among Labour MPs after Mr Corbyn imposed a three-line whip ordering his MPs to vote for the bill. It is a decision that has seen two MPs including former shadow Welsh Secretary Jo Stevens quit front-bench jobs. The Commons debate on the bill began in the Commons on Tuesday, and MPs will take part in the first vote on the legislation on Wednesday. Speaking on BBC Radio Wales, Pontypridd MP Owen Smith said: "I haven't changed my view that this [Brexit] is going to make us worse off in this country, going to make people in Pontypridd poorer, to make our politics meaner." The former Labour leadership challenger said his decision was a "big deal" for him as he had never voted against the whip before. "I think we are in the wrong place on this vote, and I think history will show that we are in the wrong place on it," he said. When it was pointed out that a majority of voters in Rhondda Cynon Taf voted against remaining in the EU, Mr Smith said there were not specific numbers for how his Pontypridd constituency voted. He said one academic study from the University of East Anglia suggested that Pontypridd voted 55% to stay. His Labour colleague Albert Owen said he would be voting to trigger Article 50. He said it was a "very difficult decision" but added: "At the end of the day the people of Ynys Mon and the people of Wales, and the UK, voted to leave the European Union. "Seventeen million people voted to leave. It's not what I wanted, but its what I have to respect and accept", he said. 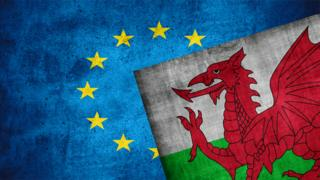 In the commons Nigel Evans, a former Conservative spokesman on Welsh affairs at Westminster, criticised opponents of Brexit for refusing to accept the result of last year's referendum - and compared their attitude with opponents of devolution who lost the 1997 Welsh referendum. Ribble Valley MP Nigel Evans, a former Conservative spokesman on Welsh affairs at Westminster, said: "We accepted the result on a very, very thin turnout and a very close result indeed and that is what is expected on this occasion."